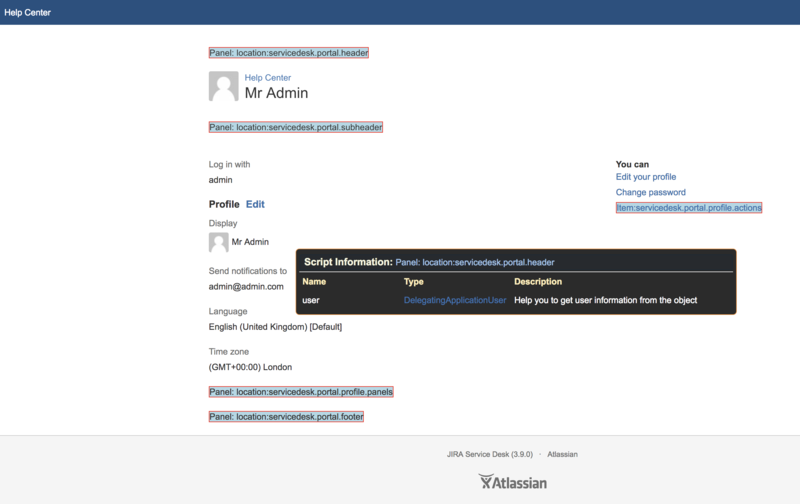 ScriptRunner is primarily concerned with the back-end, but also has the capability to customise the web UI through dynamically adding web fragments - see the Atlassian documentation on web fragments for JIRA. The general usage of these scripts is to go to Admin → Script Fragments, and execute one or more of the built-in scripts. This will modify the UI in the chosen way. Following this, you can edit or delete the customisation. The variables available to you with Script Fragments depends on the fragment location. The Fragment Locator tool can help you see which variables are available for you to use, so your scripts run as you would expect. Fragment binding variables are context specific and knowing the available binding variables in certain context could help you to avoid unexpected scripting errors. 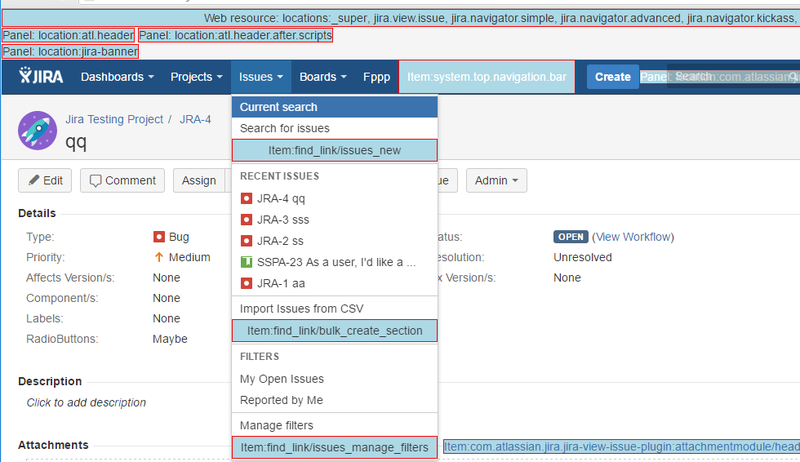 After enabling the Fragment Locator You can hover over a fragment to view available binding variables for an item or a panel in a specific context. 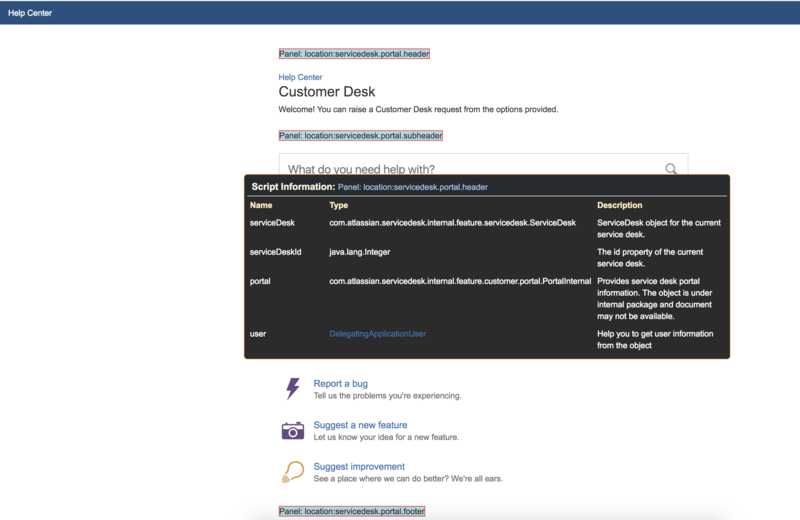 For an example the following two screenshots are for Panel: location:servicedesk.portal.header in two different locations. From the screenshots we can see variables such as serviceDesk, portal or user is available in customer portal window, but only user binding variable is available in user profile window. Test script in different context to avoid unexcepted errors. If necessary in the script check availability of the variables to avoid exceptions.